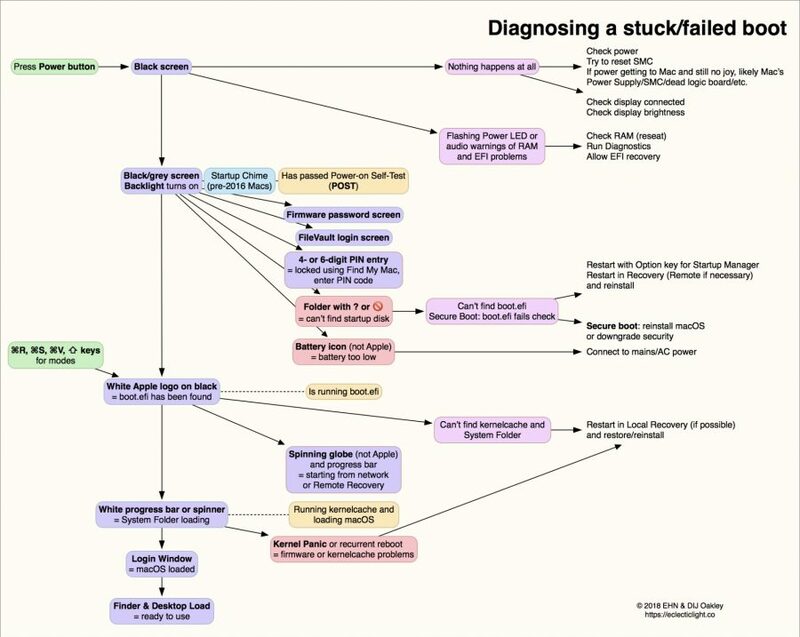 Over at his Eclectic Light Company blog, Howard Oakley has posted a useful diagram that can help you diagnose why a Mac isn’t completing its boot sequence. Many longtime Mac users probably have much of this information stored away in the recesses of their memory, but if you run into a Mac that isn’t booting, referring to Howard’s diagram can help you zero in on the cause and possible solution more quickly. His blog post explains the color-coding used in the diagram and adds details about tones or power LED flashes that indicate other problems.